The end of an era for General Motors’ once-sprawling global empire has come to a close: Opel and Vauxhall have officially been sold to France’s PSA Groupe. The deal was closed today, August 1, 2017, which falls in line with previous estimates that aimed for the deal to close by the end of July. PSA Groupe also operates the Peugeot, Citroen and DS brands. The sale was officially made public this past March, which saw Opel and Vauxhall unloaded from GM for €2.2 billion, or $2.6 billion USD by today’s exchange rates. With Opel and Vauxhall, PSA Groupe becomes the second-largest automaker on the continent of Europe behind Volkswagen Group. GM has described the sale as a positive move and has said the sale unlocks value by reshaping the company. In the automaker’s statement today, GM reiterated those feelings and painted the sale as the “most significant” in a series of actions to strengthen its “global enterprise” and position itself for the future. Under CEO Mary Barra, GM hasn’t been afraid to cut ties with underperforming markets. Opel’s operations hadn’t turned a profit in 17 years; the automaker largely pulled out of Russia; GM announced it would cease selling cars in India and the move to end Holden’s manufacturing presence in Australia is well documented. With the sale finalized, Opel CEO Karl-Thomas Neumann will officially depart the company. He stepped down as CEO in June but remained a part of the management board, where he said he would remain until Opel transferred ownership to PSA. Michael Lohscheller succeeds him. GM insists the long-term benefits outweigh the short-term costs of the transaction, and there are definitely some costs associated with the sale. The automaker now expects a $5.5 billion charge to complete the transaction, a $1 billion greater estimate than first expected. The sale of GM Financial’s European operations to Groupe PSA and BNP Paribas is expected to close later this year. As for future GM products, Buick and Holden will be unaffected by the brand’s change of ownership. GM has locked in supplies of all Opel-based vehicles it sells around the world. That includes the recently revealed 2018 Buick Regal Sportback and TourX wagon. With the sale complete, GM has officially executed a mainstream retreat from the old continent. Chevrolet and Cadillac will retain a small presence. 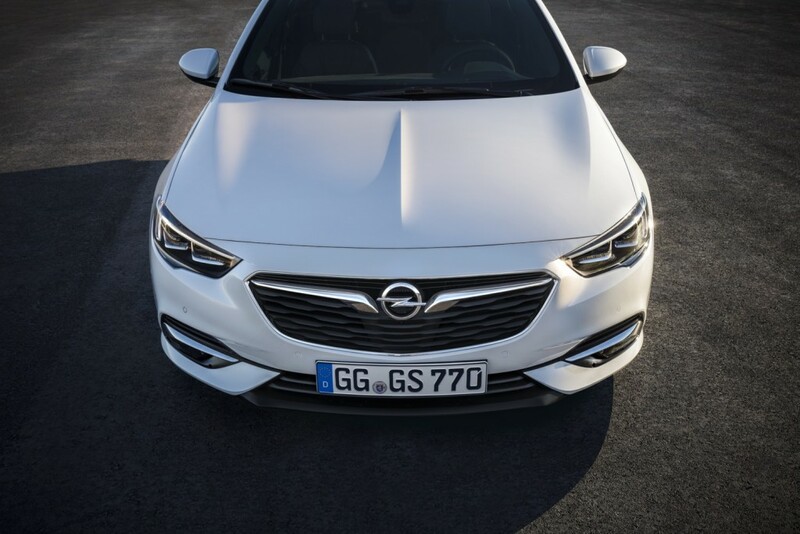 Opel platforms have formed the base of many cars around the globe and helped spread development costs for these platforms, something that now will be covered by lesser volume in only two major markets. The anticipated stock market boost has not materialized because vacating key world markets reflects a lack of long term vision. GM has now completed its retreat from global markets, due to its lack of competitiveness. GM management and designers are not world class. We will have to settle for a declining marketshare in the US, Cadillac just fell to 7th place, and a peripheral presense in China. I’m not sure that I can agree with the comment that GM’s designers are not world class. The current Opel – Vauxhall range I think is amongst the sharpest in the business – at least within a UK and EU context. And I think to be fair, GM’s presence in China is more than peripheral. But the management in Detroit and at Russelheim certainly isn’t world-class, nor is the GM business plan. Indeed, I’m wondering just how long it will be until GM confirms its withdrawal from all markets other than Michigan? Or else announces a deal to be acquired by SAIC? What will happen if the North-Korean situation escalates and the Chinese would chose the North-Korean side? It might well be that US companies would be banned from selling any goods in China. How would GM react in such a situation? It’s not unrealistic if one sees how that situation escalates. Look at Venezuela where it also changed in record time. I’m not sure how this holds up against Toyota and Volkswagen who try to retain a global presence and are profitable in most markets they operate in. Plus in the US, GM sales and market share are very close to Ford’s. So how long will they keep an edge over Ford and remain nr 1 in the US? Why can’t new GM get visionary leadership worthy of old GM’s Sloan, Apple’s Jobs, PanAm’s Trippe, and so many others who have really brought their corporations to the level where they serve as role models for all the others in their respective industry? “Escalation oft the North Korean Situation”?? Resuming the US war against Korea which ended in a stalemate in 1953 means World War 3, resulting in the end of the work as we know it. Mary Barra and her team are clueless and they can’t get a long-term vision. But I think that they have no more money to be a global company and they didn’t have the means any more of keeping Opel. Here’s an another proof: The investment on the renaissance center’s renovation put on hold. When you cut the unnecessary expenses, that isn’t really a very good sign! I still feel that at some point this will open the door for a tie up with FCA to give them a toe hold back in Europe with Jeep and Fiat and the dealer network there. I rather expect an ongoing cooperation PSA-GM. You know, back when you first said it, it sounded pretty far fetched, but as the weeks and months progressed, and the market continually swung over to the CUVs, I could see that that might not be a bad idea! If you look at Jeep’s line, it could quickly fill the current shortage of CUVs in GM’s product portfolio, and they could reap those profits! -And, glad to hear that the PSA hemorrhage is finally over! (ovation here). And now watch and learn how Europeans will build up a new champion! Something GM will never be capable to do. Good luck with the portfolio left within GM. (Big) Profit is a very short term motivation. Have Barra & Co. got a strategy beyond profit, retrenchment and de-globalisation? I can’t see one. Perhaps they need to articulate one, if they have one at all. I think they do Fleetman; it’s to flog everything off to the highest bidder. But I look at Tesla – and okay, I’m as skeptical about Tesla as the next man. But it’s a company that’s got dramatic growth ambitions (albeit from a small base), is expanding globally, actively planning new plants and committing serious money to future investments. Similarly, whilst Chinese car manufacturers can be criticised for many things, lack of ambition isn’t one of them. There’s the likes of JLR, which at the moment seems unstoppable, despite being once written off by industry commentators and the wider public as the bits of British Leyland even British Leyland didn’t really want. And then of course, there’s Barra’s GM. Now somebody, somewhere has gotten something very wrong. It’s either Elon Musk, the Chinese, JLR and other leading automotive manufacturers who are investing significant sums in globalising and future-proofing their businesses. Or else it’s Barra, whose cutting costs, cutting capacity and pulling out of markets with significant growth and profit potential… yeah India, I’m looking at you. Whilst I’m not a betting man, I know who my money would be on to get things right and who it wouldn’t. This was all about Wall Street pressure to up sick price coupled with GMs political fears about closing factories. GM lacked Ford’s courage. Opel was a major supplier of platforms and technology. It was an important global component for Chevrolet and Buick. Chevrolet has the global prestige of roadkill. I’m starting to think that Buick will be GMs best shot in India and Europe going forward. “Chevrolet has the global prestige of roadkill” — what makes you think that? • on the one hand as a sub-brand of the globel “US Cars” brand – big bulky wobbly cars with at least V8 out of 5 liters engine. • on the other hand, the second brand name of second class Korean cars, i.e. just a different name for Daewoo. Agree however that Chevrolet simply won’t work in the UK and EU. It conjures up images either of the manufacturer who did a runner leaving behind tens of thousands of owners with cars whose residual values collapsed overnight, or cars that are too big, too thirsty and too impractical for British and European roads. I think this might open the door to GM buying FCA as a way to have a market in Europe and globally with Jeep and Fiat. Just a longshot here but if the price was right they would gain some freshly renovated US manufacturing facilities and the brand everyone wants, Jeep. In Europe no one is interested in the Jeep brand. Fiat sell lots of low profit small cars. You cannot be serious. Jeep has a global almost cult like following. They are an iconic product, kind of like Harley, that has a global appeal. Jeep sold 100,000 models in Europe last year with 0.69% of the market. In contrast the Nissan Quasqai sold 100,000 just in the U.K.
Opel / Vauxhall European market share is almost 7%. I stand by my comment, Europe doesn’t care about Jeep. You can’t judge the success of the Jeep brand by calculating their market share as part of all kinds of passenger cars. That is as if you want to compare the number of Rolls Royce or Bugatti sales with sales of the VW Golf. No, Jeep is a specialty brand. Here in Germany Jeep represented 4.5% of the segment of all-terrain cars (real all terrain, not SUVs). Also, on the supposed 100’000 Quashqai — could you please bolster your claim with numbers from the SMMT? Could it be that you confuse the number of Qashqais produced in Nissan’s Sunderland plant with sales on Great Britain? As a Brit, I can’t speak about how the Jeep brand is perceived in Germany. But from my knowledge of the market here in the UK and also in the Republic of Ireland, Jeep is viewed by most people as an irrelevancy. I know from my travels to North America that the Jeep brand is viewed very differently. Heck, in the USA and Canada it’s probably more of a cult (in a good way) than a mere brand. But in this part of the world, that status is afforded to Land Rover and in particular the Defender, relegating Jeep to pretty much a used car lot special. Mu error, they sold 70,000 of them. My point still stands, Jeep is another American brand that holds no water in Europe. If you want an SUV you buy a Quasqai, Captur, Mokka etc. If you want proper off road ability you buy a Land Rover. You don’t buy a Jeep. On Great Britain, Jeep might take second place behind Land Rover, but world wide, Jeep is a well known brand since the USA conquered the world during the previous world war, advancing in their little Willys-Overland cars, for which that company secured the brand name “Jeep” in 1943. In Colombia, though, they still use the name “Willys”. BTW, the market share of Jeep in the segment “all terain cars” in Germany grew to 5.5% for January-July 2017, advancing one percentage point from June. Up to 2012, Jeep was lumped together with Chrysler and Dodge, so no figures for Jeep before 2013. “Ratio” means number of Land Rover to number of Jeep. The table shows clearly a progression of Jeep compared to Land Rover. These are 2017 Q1 figures. The point is, GM selling Opel and then trying to re enter the market with fiat jeep is a poor strategy. I think those figures highlight the significant differences between the British and German markets. Jeep is clearly a contender in the German market, whereas here in the UK it’s an irrelevancy. But what I find truly shocking is there are 269 people who put their hand in their pocket and spent their hard-earned on an MG GS. Each to their own and all that… but really?! The sheer size of the Compact SUV market also shows how Opel Group missed the boat with the absence of a class-competitive offering and also how the Grandland X can’t come soon enough. Mind you that the German statistics group “SUV” and “all terrain cars” (Geländewagen) as separate segments, but don’t know of a “compact SUV”, if that is meant to be a size class. “all terrain cars” must have been certified with a “G”, and since the statistic cited is for passenger cars only, as “M1G” (the 1 should be a subscript). All Jeeps and Land Rovers are counted as real all-terrain cars, not as SUV (the Jaguar F-Pace and Suzuki Jimny, too). The Nissan Qashqai on the other hand is counted in the SUV segment, by not being certified as real all terrain car. Vauxhall has launched 6 new models this year, VXR8 GTS – R, Maloo – R, New Insignia, New Crossland x, Viva Rocks & New Grandland x. GM obviously won’t be seeing any of this return investment. New VXR8 GTS – R, Maloo – R, when Holden manufacturing is being closed now? Or – does Vauxhall have to help Holden to sell the last ones of the Holden Special Vehicles? Interestingly, Vauxhall is already profitable, returning an operating profit before EBITDA of £19m (p/e 31.12.16) and £102.3m (p/e 30.06.16). So in effect, Vauxhall has been subsidising its Opel Group parent. 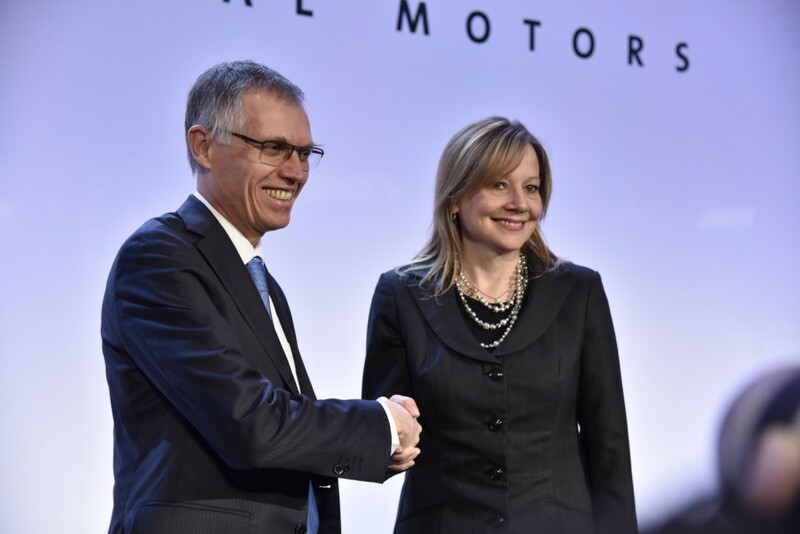 GM simply needed to follow Ford’s industrial plan for Europe. The latest Opel line up is class leading with offerings like Insignia both lighter and more athletic than Mondero. The problem is everyone is struggling in Europe to some degree. It is a flat market with flat population growth. The analysts who call the shots for these companies on Wall St. and elsewhere just won’t tolerate that from company leadership. Everyone is looking to China where the huge growth is going to be for decades. Europe might be a challenging market; but it’s also the market that sets the benchmark for all others beyond the value segment. In withdrawing from the UK and EU, GM hasn’t just given up on Europe… it’s giving up on the world.